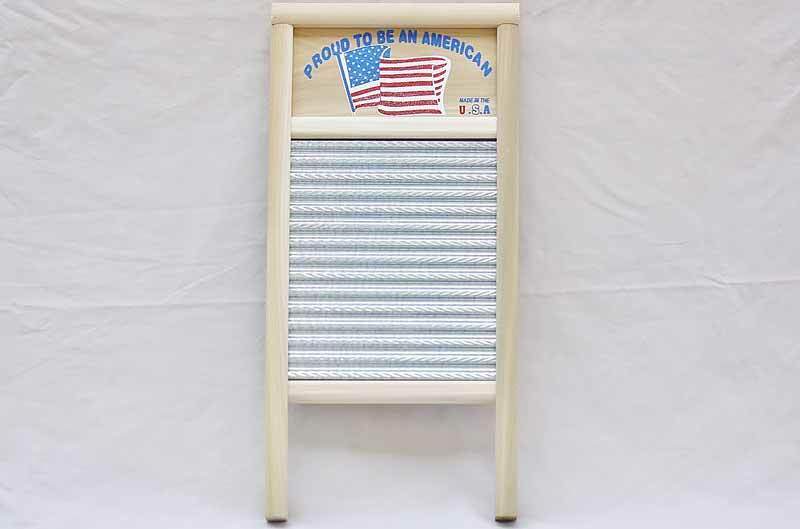 Show your American spirit with this old fashioned washboard! An American flag is featured, waving strong and proud. Hang this washing board as a decorative item, then use it to hand wash delicate clothing. This is a great functional and decorative piece for a country style laundry room! Surface dimensions: 7" x 8 1/2"